Priced at £26,650. First registered on the 20th of October 1940. 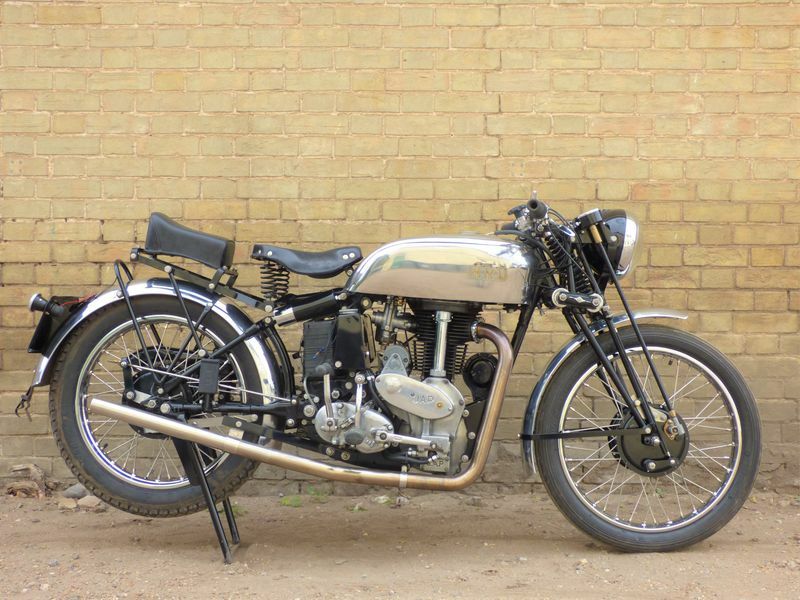 We are advertising this wonderful motorcycle on behalf of the Kent owner, who has had it in his possesion since 2008. An extremely attractive special fitted with a JAP 500cc high camshaft engine, a stainless steel petrol tank & a stainless steel exhaust pipe. Comes with the latest DVLA V5C registration document, is registered under the 'Historic Vehicle' class for free road tax & is MOT exempt. Note: - This bike is located at our shop for viewing.